Teachers are responsible for shaping the connections inside learners’ brains on a day-to-day basis, connections that will remain in place for the rest of those learners’ lives. Understanding the science of learning in the brain is, therefore, a powerful way to inform teaching and have an impact on learning. Furthermore, research evidence shows that teaching children about how the brain learns can improve their motivation to learn. So, when education writer and former teacher Richard Churches got together with two neuroscientists and a group of teachers they saw an exciting opportunity to pool their expertise and explore how insight from neuroscience could translate into classroom practice. 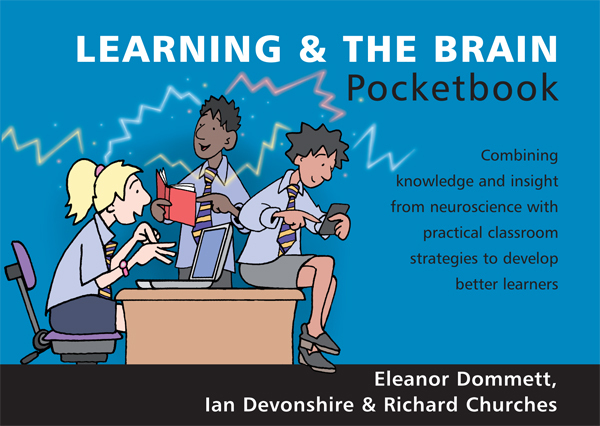 Learning & the Brain Pocketbook is full of accessible information about how the brain works, how it learns, how it memorises and how it develops. At every turn, the material is discussed in relation to the classroom. Numerous tips and strategies draw on the neuroscience to enhance and support what you do with your learners. Learning about the brain is fun – and it makes for great professional development.